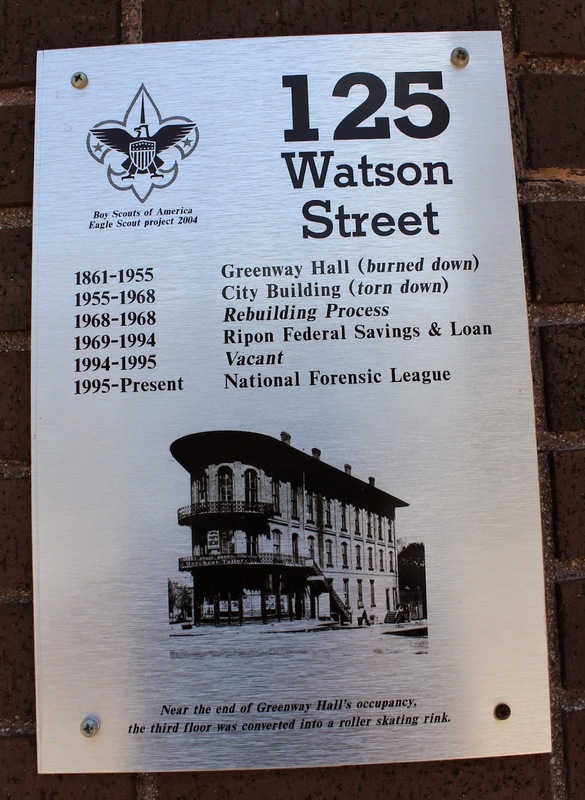 The marker is located in front of the National Forensic League, at the intersection of Scott Street, Watson Street, and West Fond du Lac Street, at 125 Watson Street, Ripon, Wisconsin 54971. Use the "Boy Scouts of America Eagle Scout Project" label below to view all markers in this series; there are several. the third floor was converted into a roller skating rink. The marker is mounted to the facade, to the right of the entrance door.